Prezentare When Mouse takes a stroll through the woods, he meets a fox, an owl, and a snake who all want to eat him So Mouse invents a gruffalo, a monster with "terrible tusks and terrible claws, terrible teeth, and terrible jaws." But will Mouse's frightful description be enough to scare off his foes? 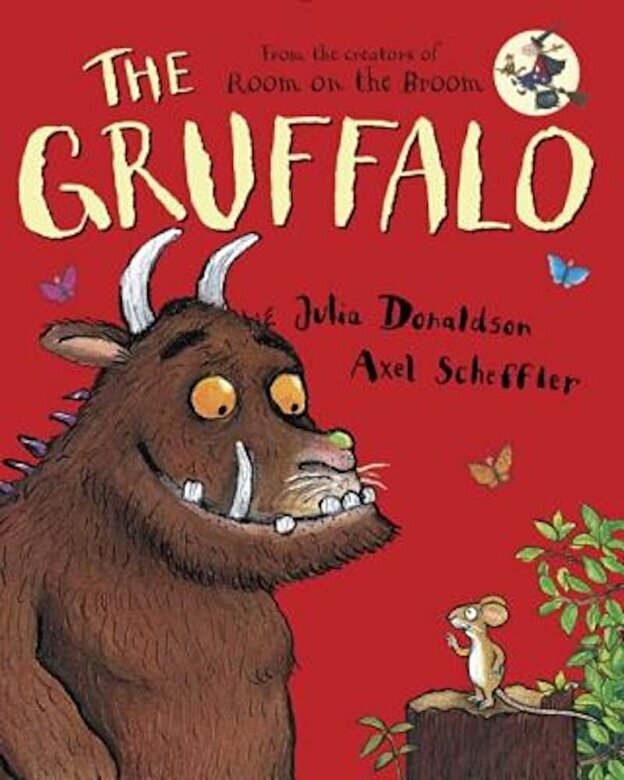 After all, there's no such thing as a gruffalo . . . is there? Sturdy pages and a cozy trim make this rhyming read-aloud perfect for preschoolers. Winner of the prestigious British Smarties Prize.